That Camouflage tries to defeat; this is why. If he can’t see you quickly, why, dammit, he’s past. The enemy’s reading of aerial views. The above words are from a poem Mary Horlock found amongst the papers of her great grandfather, Joseph Gray. Gray was an official war artist; perhaps the most famous war artist that nobody has ever heard of. Joseph Gray was a war artist in more than one way and in more than one war. After serving in and recording the First World War, he did something very different in the Second – he was an artist of disguise and concealment. An artist of camouflage. Mary was a curator at the Tate Gallery Liverpool and Tate Britain, and has written widely on contemporary art and artists. 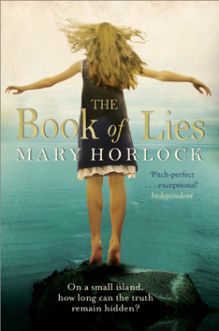 Her first novel, The Book of Lies, was longlisted for the Guardian First Book Award. Joseph Gray’s Camouflage is the story of one man living several lives, spanning two world wars and the radical changes of those years, and simultaneously tracing the evolving art of camouflage and the role artists played in applying it to protect and defend. But uncovering Gray’s story wasn’t easy, since his obsession with camouflage hid another, deeper subterfuge. His new job for the War Office had enabled him to disappear from the family he’d already created and begin an affair with another, much younger woman. 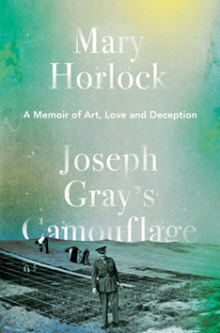 Now, decades later, having discovered Gray’s letters to his lover and scoured his archive, and through interviews with family and colleagues, Mary Horlock brings her great grandfather’s strange multiple lives back into focus. "Joseph Gray’s Camouflage is a book about seeing and not-seeing. It is, inter alia, a love story, a social history and an enquiry into memory told through the biography of a remarkable artist and his family. it is a brilliant exposure of creativity in the arena of death."